Have you ever been chillin' with your fellow Bearcats and you didn't know what path to use to go Bar Crawling? Now you do, with Bearcat Bar Crawl. 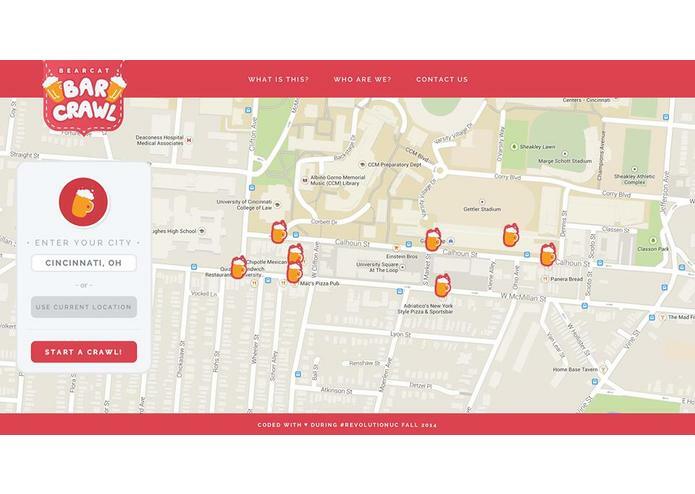 An application designed to optimize your bar crawling experience. It is both a web and mobile application. And it works wherever you are in the world as long as there are bars.